Minorities, young people, professionals, moms, dads, commuters, grocery shoppers, travelers … anyone who is on the go or at least not behind a computer at every moment appreciates the accessibility and beauty of design thinking that is mobile-friendly from the get-go. Some websites like NPR.org are even simplifying their desktop views with a mobile-like design. Our shifting demographics in the U.S. are driving a rapid increase in mobile use. 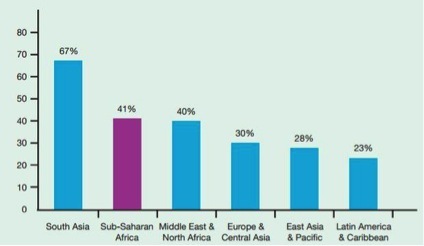 International audiences may have better mobile access than desktop Internet. It’s now a given that websites need to be responsive for different-sized devices or at least mobile-friendly in order to reach diverse audiences. If you look at your site’s Google Analytics, you’re likely to see that about a quarter of your website visitors come knocking on your door via mobile devices — that’s a lot! You’ll want to open your door, as it were, with a friendly smile on your face. So how can your organization be as approachable as possible via mobile? 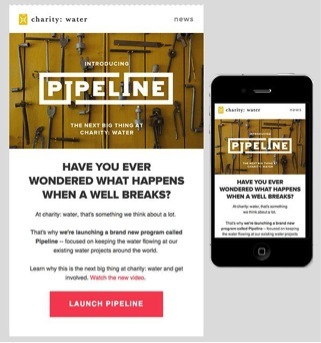 Below, we’ll cover: 1) making sure your website is responsive; 2) the importance of Instagram; 3) the rise of mobile messaging apps; and 4) tips for using responsive emails for impact. Designing a website for responsive viewing (where the design adapts to the platform visitors are using, whether it’s a desktop, iPad or smartphone) is becoming such a standard requirement that organizations are making that a key part of their redesign. If a custom responsive design is too expensive to undertake, studios have created many very affordable WordPress themes with responsive design built in. One way or another, you want to have a responsive site! It’s a bummer when you get to a site on your iPhone and the text is too small to read easily and the tiny navigation buttons are hard to press with the very tip of your finger, isn’t it? Yes it is. Full width sites — not just sliders and headers, but full width for the main content too — are a trend that has begun entering the mainstream web design world. Full width content is conducive for responsive design and works well for data-heavy websites if yours happens to be one. 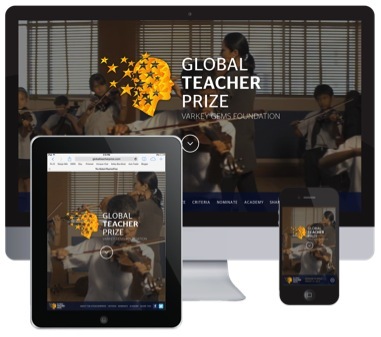 We recently helped Varkey GEMS Foundation to launch a responsive site for the Global Teacher Prize. 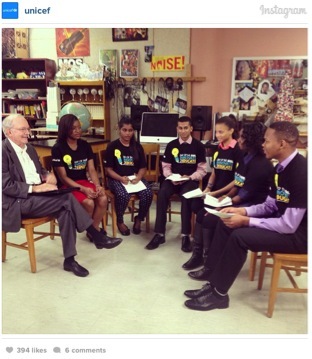 The campaign is reaching out to audiences around the world to find and celebrate the best teacher with a one million dollar award. The site features a video as the header image. For our company’s site, Fission, we’re in the midst of a redesign with a responsive and flexible WordPress theme, Impreza. You can find many mobile-friendly options at ThemeForest. 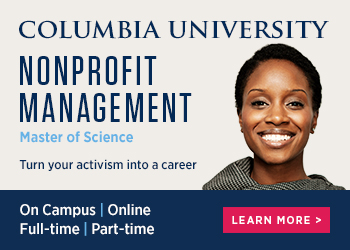 With 150 million active global users, it is nearly impossible for nonprofits to ignore Instagram when developing online outreach and social media strategies. It’s currently the fastest growing social network. According to Pew Internet, Instagram’s demographics are 11% White, 23% Black, and 18% Latino. Whether you are a newbie or pro user on the app, it’s easy to use and provides simple yet effective ways to promote events, build cause awareness, extend outreach of campaigns, and more. 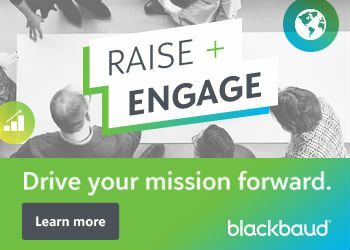 Show who you are: Connect with your audience in an authentic way by giving the general public as well as your donors or fundraisers a behind the scenes look at your organization. Show who you impact: Showcase your mission to the world with beautiful photography that captures the feelings and emotions of the people you impact. Share stats & facts: Share statistics and facts about your work as part of the actual image or in the caption. Hold photo contests: Choose a catchy and relevant hashtag for the contest and have users enter by posting a picture in instagram with your hashtag. The following example is part of a photo contest at the Bronx Zoo that uses the hashtag #BZSelfie. Align with SMS campaigns: Combine text and imagery to promote your SMS campaigns. Users accessing Instagram on their mobile phone can easily switch to their texting app and participate. And on that note, let’s talk about mobile messaging! Mobile messaging for audiences around the world is very important, as the growth rate of SMS outside of Europe and North America is increasing each year. Mobile messaging apps such as WhatsApp, Line, and Wechat are becoming increasingly crucial in content sharing worldwide. Across many different countries, views of Twitter timelines are declining while “usage of mobile messaging apps exploded between the end of 2012 and the end of 2013” with many of these messaging apps thriving particularly in Asia (see Forbes). Africa, for example, has more mobile users than the U.S. or the E.U. Mobile messaging apps like WhatsApp which was recently acquired by Facebook are useful for reaching people in Asia and Africa because this messaging is simple, instantaneous, and is not dependent on a good internet connection, according to the Washington Post. This infographic explains the importance of messaging apps in general, where each originate, and where they are most popular. Intentionally harness the goodwill & voluntary leadership of digital evangelists who can reach their own networks on whatever platforms they use already (as the Ladder of Engagement section suggests). Grow this cadre of volunteer evangelists reaching out to their networks, supported by a Campaign Manager helping to provide ready-to-share / packaged outreach materials. Set up an account on each of the recommended mobile apps and platforms to understand how each works with friending people and communicating in that particular culture and syntax. Explore whether it would make sense to allow nominations via text message for people who have cellphones but not mobile internet. Responsive email design is not just a new trend, it is actually a new necessity. According to US Consumer Device Preference Report: Q4 2013, 65% of all emails get initially opened on a mobile device. Makes sense! What device do you have with you all the time? In 2014, chances are the answer is your cell phone. With that in mind, wouldn’t you be more inclined to read an email if you could actually read it… without a microscope or a pinch to zoom? It doesn’t take much to make an email responsive from a design and development standpoint – however it makes a world of difference in how your emails will perform in the hands of your list subscribers. Stick a big call-to-action button in the body content, giving the user only one option on how to proceed. Emails with social sharing are particularly handy when there’s a lot of content inside them. Often times, users are intimidated by a “wall of text” that our brains simply just don’t want to read. Additionally, some spam filters out there translate too much text as junk mail. One of Fission’s clients, Mayors Against Illegal Guns, employs the best practice of using images and share buttons in their emails prominently. It helps them to break up any huge walls of text, but also offers the opportunity to have their emails transcend the inbox, and have a stronger impact in social media. When someone is reading from their mobile phone, it is often they may have less time to read and more time to share. Adriana Dakin is Senior Vice President of Digital Strategy & Research at Fission Strategy, where she ignites cause-driven organizations and campaigns with digital strategy and social technology so that they grow in visibility and maximize impact. She has served as a board member and Director of Engagement and other roles for Young Women Social Entrepreneurs (YWSE) since 2005. Previously she served as co-principal with The Madera Group, managing fundraising email campaigns for the William J. Clinton Foundation, and writing strategic plans for organizations such as IAVA. Adriana received her graduate degree in public policy from the Harvard Kennedy School, focusing in leadership, negotiation, and international security policy, and has worked and studied globally in countries such as Kazakhstan, Russia, Guatemala, India and China.